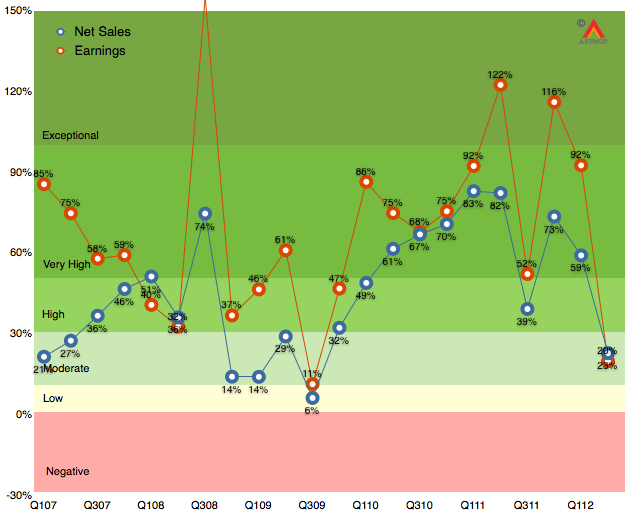 iPhone did not get expanded distribution and was stale late in its cycle. Emerging market traction outside of China still elusive. Some signs of macroeconomic slowing especially in Europe and countries dependent on commodities exports. The silver lining is the return of higher growth to iTunes store and peripherals. These are “hobbies” for Apple but they might form a foundation for significant new opportunities in the years to come.